The artwork for the label and wrapping paper has been created by the French Artist Alain Clément. 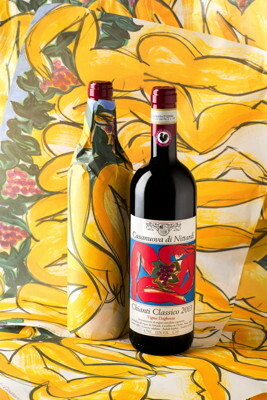 Casanuova di Nittardi is a pure Sangiovese, coming from the single vineyard Vigna Doghessa located in the valley of Nittardi at 450 meters. The vineyard is rich with schist stones and has a south-east exposure. After the fermentation the wine aged for 14 month in 500 liter french oak barrels and four month in concrete Vats and finally a few month in the bottle before being released. Most of Alain Clément works display both a gentleness and limberness, and are sleek and richly curved and innate with the intensive light of southern France, of Nîmes, where he has an atelier. 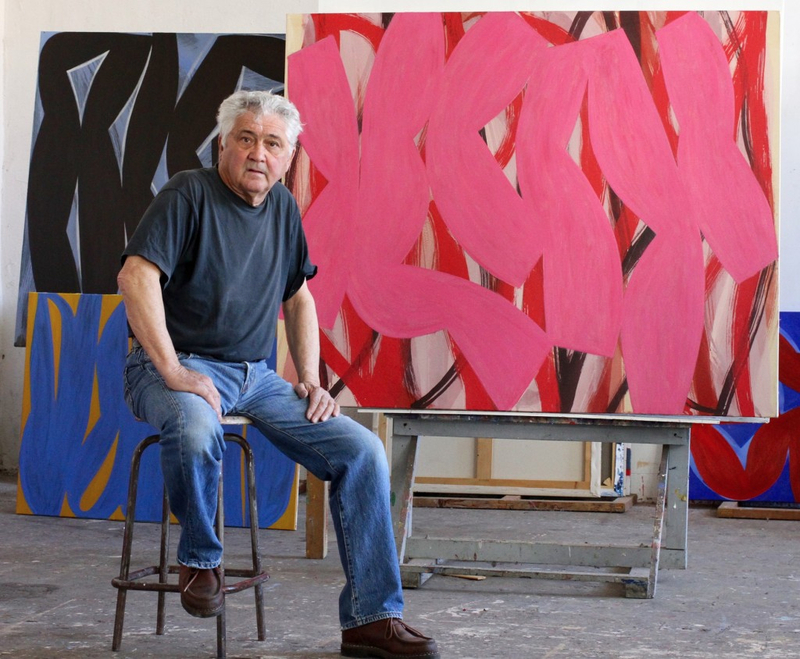 Alain Clément (74), a former professor and director of the École des Beaux Arts in Nîmes, seeks to unify light and color into an indissoluble entity in his paintings. The horizontal streams of color are often traversed by diagonal streams, and the vertically-running ones often collide with the culmination of the pictorial reality at the surface edges. No sooner do you comprehend one thread of the artistically interwoven color than does it withdraw and you begin to pursue the next. The wine profile: Vibrant ruby red, intensely redolent of cherries, violet and hints of aromatic herbs and spices, with well-rounded tannins and a long-lasting finish on the palate. Please wait 4 years more to open the beauty. Cheers.